In Istra branch of "Arkhbum" (Moscow region). Corrugator running BHS (Germany). Equipment designed to produce 3-layer board with ribbed C, B with the ability to manufacture corrugated cardboard with brown and bleached surface layer profile, C (T20-T27 brand). The design capacity of the first stage is about 200 million square meters. meters of corrugated packaging per year. The company will produce and sell various kinds of corrugated boxes with the ability to multi-color printing (up to 4 colors) and multi-point gluing (up to 6 points gluing). Based on the storage capacity of the plant Istra organized intermediate storage of products of JSC "Arkhangelsk PPM" (cardboard, fluting, paper and notebooks) to improve the logistics of products for the consumer of the Central region. After installing a second corrugator and associated processing equipment units total production capacity of about 400 million square meters. m of corrugated products annually. Total investments "Arkhbum" in a new plant for the production of corrugated packaging will be more than 4 billion rubles. JSC "Arkhbum" — a subsidiary of JSC "Arkhangelsk PPM" (Novodvinsk, Arkhangelsk region), located in Podolsk, near Moscow. The main activities: transport and logistics services, and production of corrugated packaging. The logistics center employs more than 1,500 cars, 12 locomotives and more than 300 units of vehicles. Podolsky branch of "Arkhbum" launched in 2001. 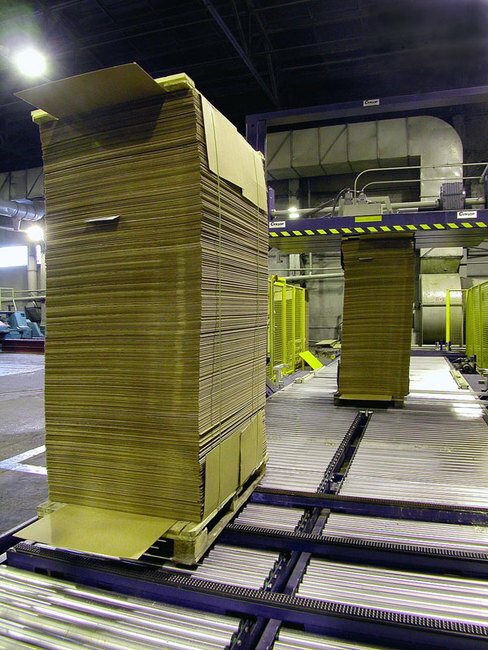 Is one of the largest Russian producer of corrugated cardboard and packaging. Annual production capacity — about 130 million square meters. m packing.